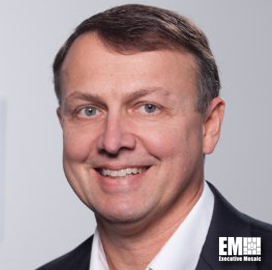 Earl Matthews, formerly vice president and general manager of enterprise security solutions division at DXC Technology (NYSE: DXC), has joined Verodin as senior VP and chief strategy officer. Matthews will be a part of Verodin’s leadership team and oversee the development and execution of the McLean, Virginia-based security instrumentation firm’s growth strategy worldwide, the company said Tuesday. Chris Key, Verodin CEO and co-founder, said the company will leverage Matthews’ leadership experience in the development of cyber operations policies and delivery of information technology and national security platforms to clients as the firm expands into new markets. Matthews came from Hewlett Packard Enterprise, which merged its enterprise services division with Computer Sciences Corp. to form DXC in 2017. He is a retired U.S. Air Force major general who held senior leadership roles during his 30-year military career, including chief information officer of the U.S. Transportation Command and Air Mobility Command, director of cyber space operations and chief information security officer. Matthews said he will work with the Verodin team to build and offer new technology platforms designed to help government agencies and enterprises manage and measure security as the firm works to bring accountability to tech security.